I’ve always admired Arizka’s tattoos. 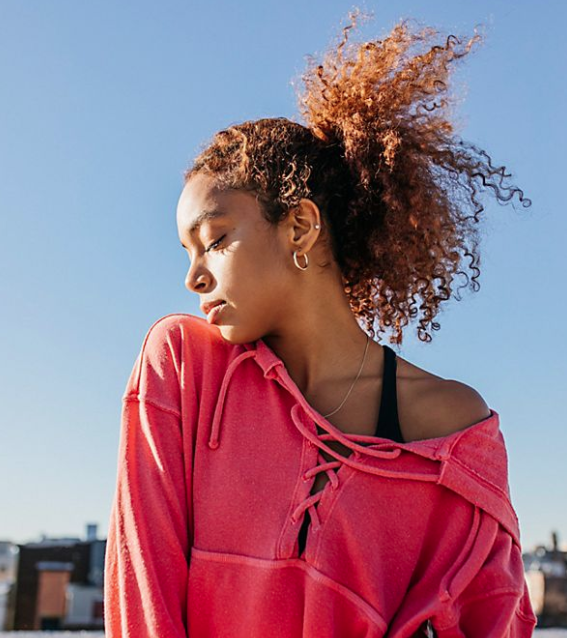 A Free People web merchandiser, Riz has nailed the art of tattoo curation, incorporating both simple and complex pieces in thoughtful placement — text, symbols of summer and geomteric designs. Recently, I noticed Arizka was the proud owner of a few new additions to her normal skin adornment. I was curious. 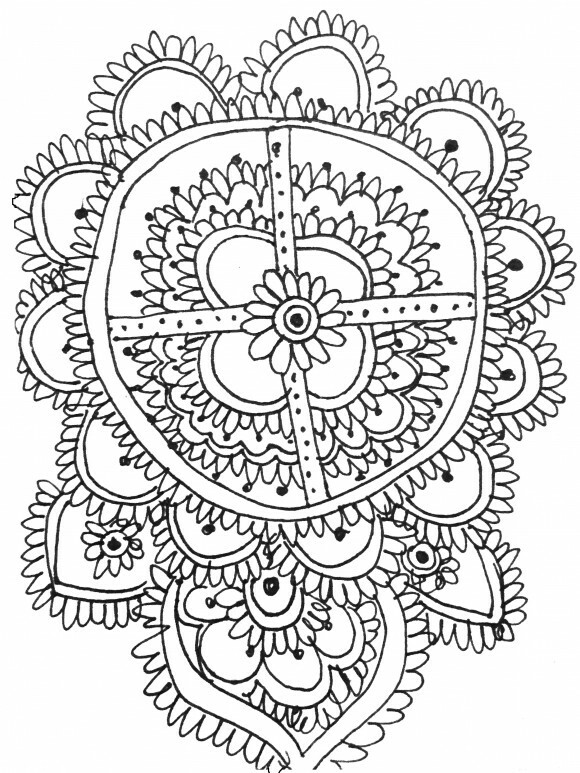 Her hands had been kissed with Mehndi, or Henna (the more popular term for this type of art). I’ve always been a fan, but had it applied only a handful of times. 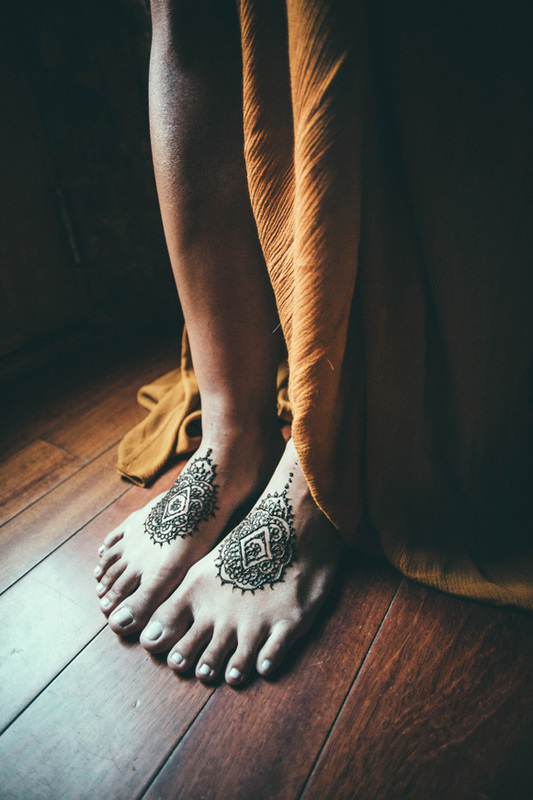 An Indian tradition, Henna is typically worn at Hindu weddings or other festivities, but it’s become popular across the globe as a way to add ornate, temporary decoration to the skin, and as a form of artistic self-expression. 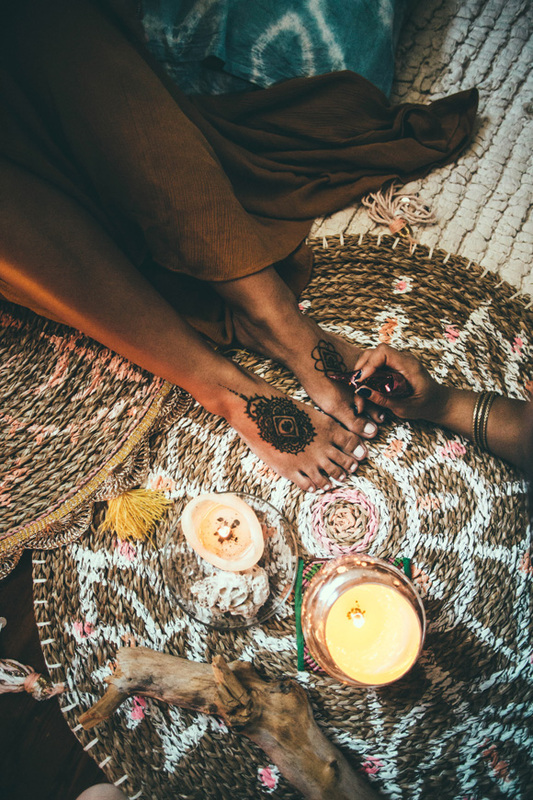 Turns out, one of Arizka’s best friends is an expert in all things Henna. Not only did I want in on her hookup, but I thought it would be interesting to learn more about the art, and the artist herself. 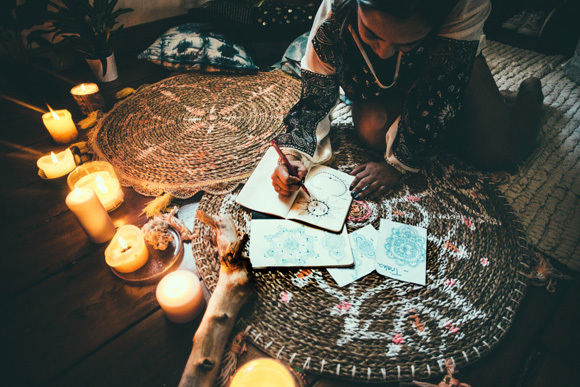 Below, Trisha Luhar, aka Moon_Mehndi_ , walks us through her experience with Henna and shares a few of her exclusive designs! Hi Trisha! Where are you from? What brought you to Philadelphia? I was born and raised in the beautiful city of Los Angeles, a mix of two ethnicities — my father’s family is from India and my mother is from New York. The Indian culture had a huge influence on my upbringing. After reneging a contract to teach kindergarten at an American Academy in Qatar, UAE, the world was at my feet. I preferred to stay in the USA and, with two best friends having moved to Philadelphia only a few years back, the decision was made to come here. Arizka is wearing the Look Into The Sun Maxi. 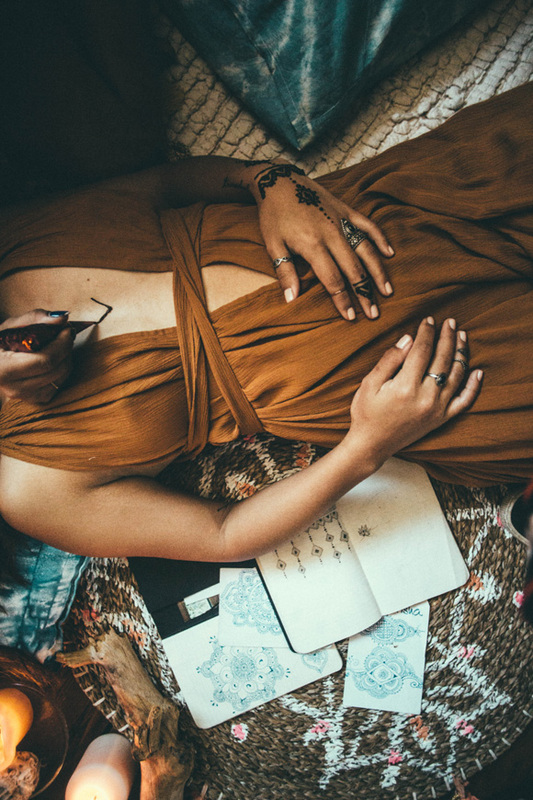 How did you first start getting into the art of Henna? Henna (or Mehndi) has been a part of my life forever. My Ba (Grandmother) would always have some paste in the house for my older sister and I to use. My sister is also a very talented henna artist and is a huge inspiration to me. 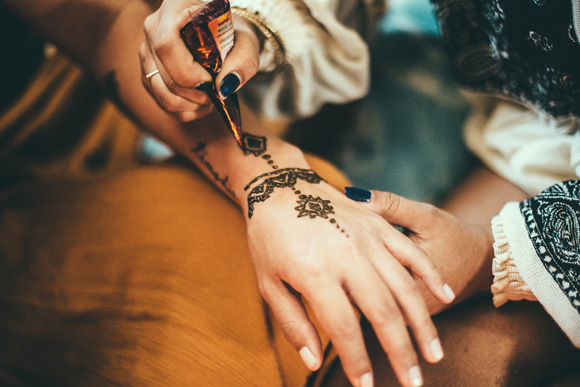 How long have you been practicing the art of Henna? I began to focus more on Henna in my later years. 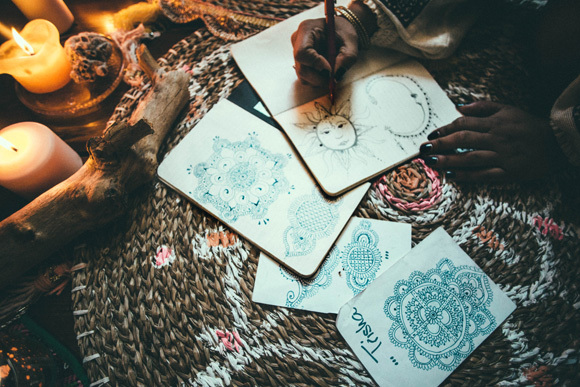 It’s so important to realize a creative energy release — on a regular basis — and, as some people paint, use coloring books or cook…I like to doodle Henna designs in my journals. 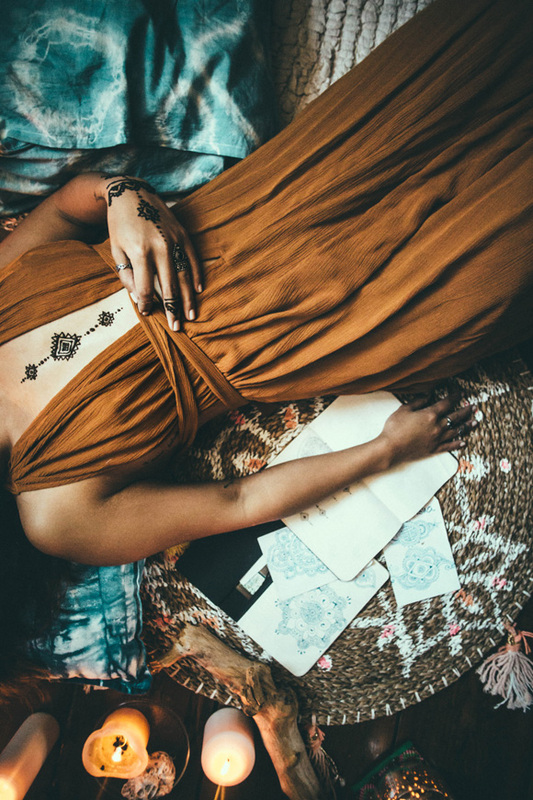 What is Henna all about? What is its cultural significance? From the stories that have been passed down to me, Henna or (Mehndi) would represent beauty on an Indian female’s wedding day. 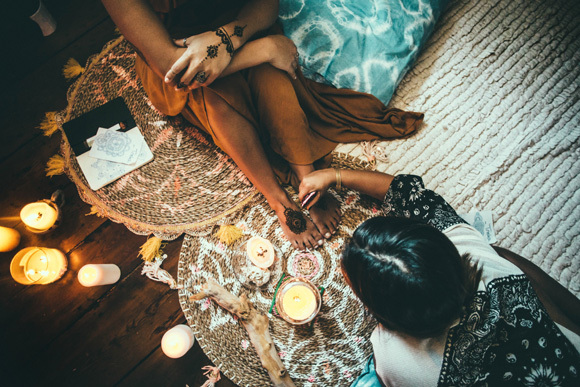 Years ago, brides wouldn’t have access to much jewelry or fabulous gowns on their wedding day so, instead, Henna would be applied to the hands and feet. My culture has been practicing this tradition for hundreds of years and, as with anything that becomes better with practice, the designs that are applied to brides have become more intricate and detailed over time. 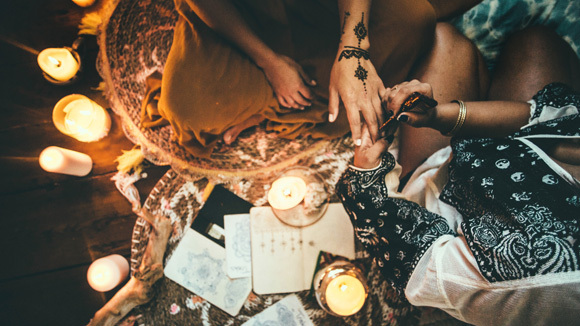 In a traditional Indian wedding week (yes, week) one of the days and gatherings is dedicated to the application of Mehndi to the bride, as well as to the females close to her. It is such a fun time — time to sing, dance and feed one another. 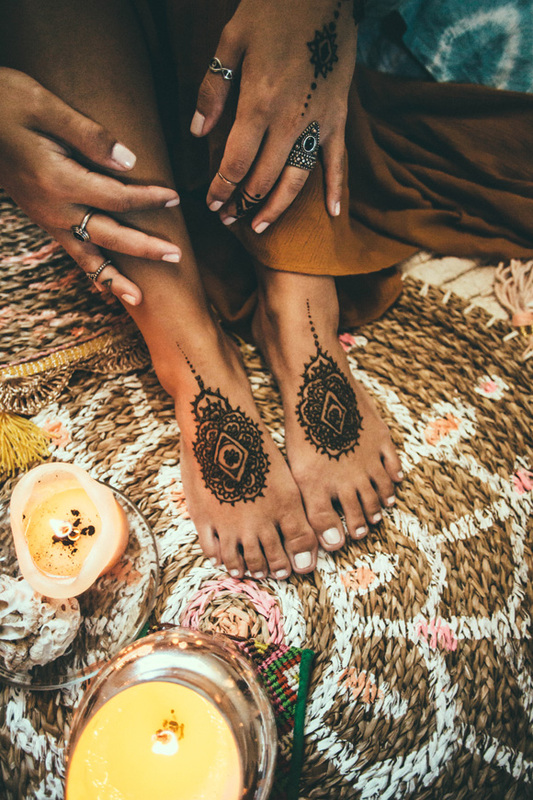 Are there different types of Henna? Sure, colored pastes can be used instead of the traditional staining paste. 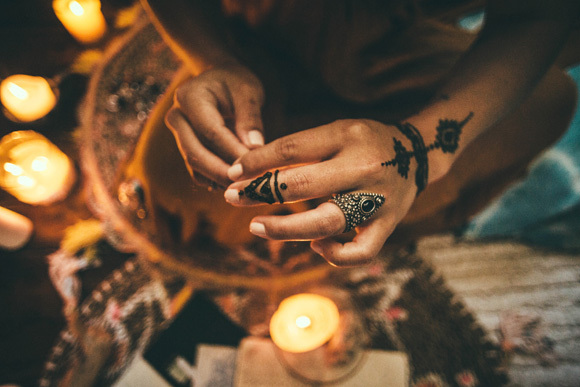 Do you have a homemade Henna recipe that you like to use? Making the cone for the Henna paste is usually really tricky and, if not done right, the whole experience could be a disaster, so I usually buy them, based on previous experience, re: quality of paste. I look for richness in the color stain and smoothness of texture in application. I have a homemade recipe of cosmetic glue and mica powder to use on people who prefer a lesser-lasting stain, but who still want the elegance of the design — that will last about 24 hours and peel off when ready. 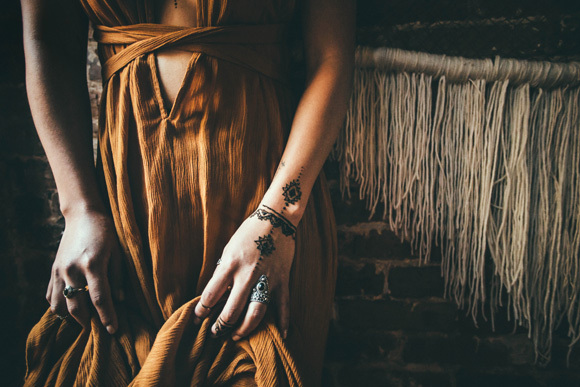 What are some important things to keep in mind when drawing henna on the body? Trusting oneself is always key. It is important to focus on the task at hand (literally) and rid all negativity from the mind. One time, I was really nervous that I wouldn’t do a good job, and I didn’t. Does the placement of designs represent certain things? For a traditional Indian wedding, the usual placement is on the hands and feet. Since my style is usually far from traditional, I like to use any part of the body to adorn with designs. I have my best friends to thank for this, as they love being my canvas. Are there any special things you can do to make it last longer? Sure. 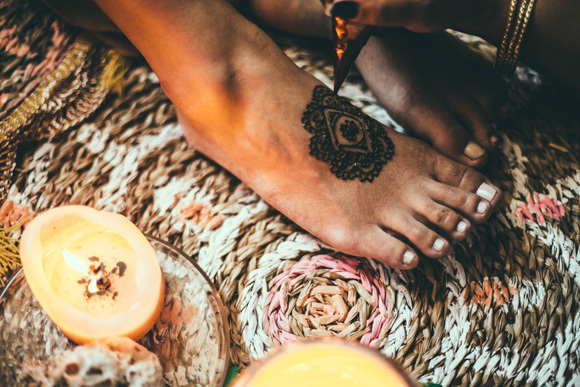 The Henna starts off as a moist paste that will eventually dry and peel off, leaving a stain on the skin. So, to make the stain darker, it would make sense to keep the paste moist longer than usual. To do this, I either use warm lemon juice and sugar or hairspray. Sometimes a bride will put her hands over a fire (stove) on her wedding day to darken the color. 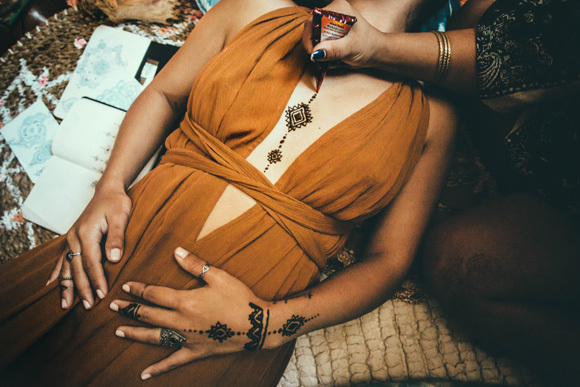 What ways can you use Henna other then the typical body adornment ? I have seen women use it as a hair dye. What is your favorite kind of design? My favorite? The smile on a client’s face when I am complete, of course! Symmetry is best, finish the design before you judge it, practice with your friends and have fun! Below are two of Trisha’s exclusive designs that you can reference when doing your own! Check out more DIY posts from the BLDG 25 Blog. Follow Jana on Instagram andTwitter! I am in love with that beautiful dress! Is it a FP piece? What a lovely article! Inspired. Such a rad post and amazing photography! 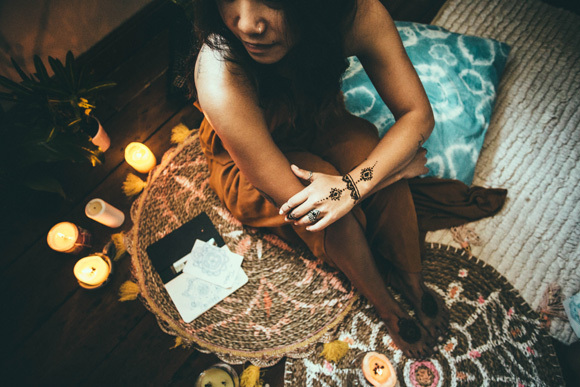 Henna is a great thing to decorate your body and release stress, when I am really stressed I like to draw Henna at my body, it relaxes me. Your photos are so great, it shows a lovely atmosphere. 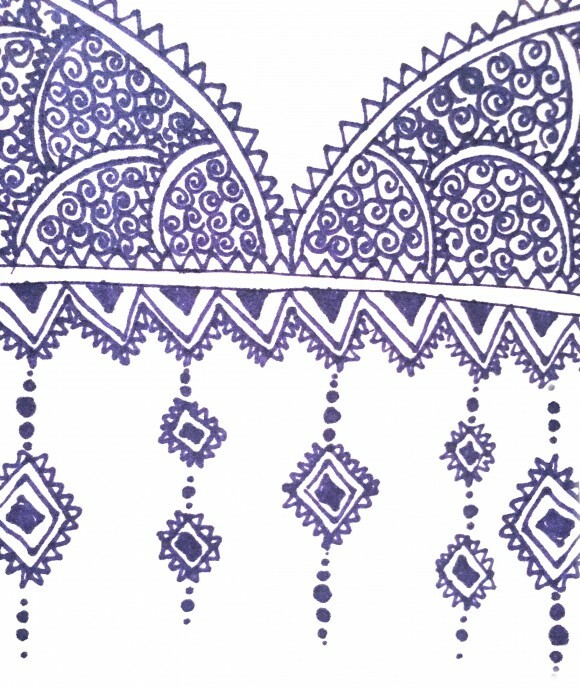 I have a henna recipe at my blog ( its in german ). 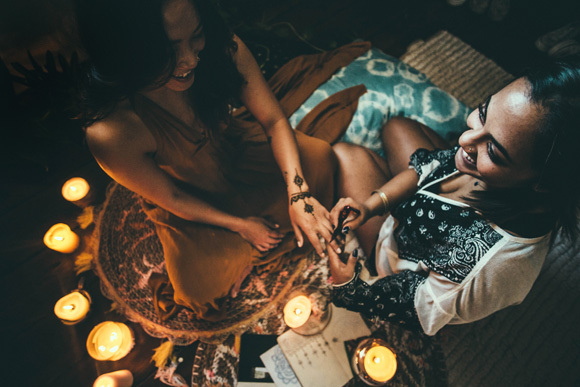 So inspired to do some hennatatoos today, love to do it with friends! Wauw, Love this! Love the photography as well! So beautiful! I have been wanting to do that for so long!